The mundane affairs of humanity are often controlled by cryptic scriptural prophecy and obscure calendrical predictions. Most of these age-old prophecies and supporting predictions were originally passed down by way of ancient oral traditions. When they came to pass, they were then written down in scrolls and on tablets. In this way they could be referred to at critical moments to impress future generations of the awesome power and veracity of the prophets. Eventually, all significant prophecies were recorded by the scribes, just as the most consequential predictions were preserved by the astrologers. Many in our times are disinclined to read articles, essays or commentary when they contain religious content or spiritual references. However, this essay is much more about important — even quite urgent — mundane matters* which are controlled by religious prophecy. Because it concerns the Biblical Shemitah Jubilee, the pertinent arcana of the Hebrew Calendar and esoterica of the Jewish Bible are revealed and/or interpreted as necessary. This essay also explores the twilight period of the Kali Yuga according to the Hindu scriptures, as well as the exceptional significance of Lord Kalki. Religious authority always trumps financial/economic power, which in turn always trumps political influence; political power always trumps military force. For these and other reasons the prophetic agendas in some kingdoms became more self-serving and manipulative over time. In some historical settings they became downright exploitative and oppressive. The whole genre of secret societies grew up as a response to this type of abuse and misuse of prophetic influence, occult knowledge and mystical power. Gradually, the resulting societal tension evolved into an ever-present polarity which further concretized into the many and diverse conflicts of the present Kali Yuga (also known as the Age of Conflict). The key point here is that some of the more tribal and controlling religious organizations, which grew out of this ever-polarizing context, utilized both prophecy and prediction in a less than honorable way. In certain places and times prophecy was actually uttered and/or written down so that they could then be fulfilled. In those instances the chosen ‘prophets’ of the ruling cabal, who fabricated the prophecy, were also in the position to guarantee their manifestation … on a given day and in a specific location. Likewise, many a court astrologer has been known to use their ‘powers’ in a similar way. In this highly scripted manner kings and queens became gods and goddesses; priests and prophets became deities. Because the Judaic tradition is the oldest of the three primary Western religions, it has had the longest time for ‘opportunities’ to arise in which “Sacred Scripture Morphs Into Profane Script”. Herein lies the crux of this essay. The predictive power that has been built into the Jewish Scriptures and Hebrew Calendar is now indisputable. 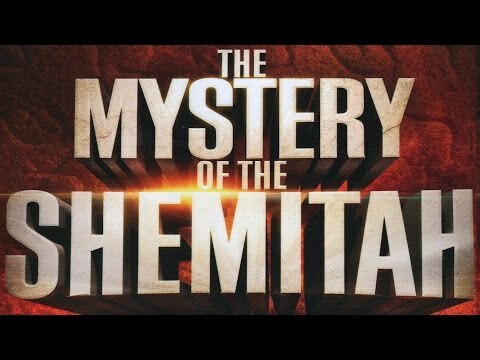 The 7-year Shemitah cycles and Jubilees have been proven — beyond any doubt — to directly correlate with uncanny precision to many of the major world events of the past 200 years. Again, what is being presented here is the notion that the authors of the prophecy ensured through their future religious lineage that the prophetic statements would come to pass … exactly as written. Because the prophecies (and predictions) were literally designed and planned out in advance, they could be properly executed at the appointed time and in the right place. In this fashion the prophets and the perpetrators have become partners in a multi-millennial plot to imprison humanity in either a financial penitentiary, on an economic plantation, or both. Virtually every financial and economic cataclysm that has lined up with the Biblical Shemitah timeline has had far-reaching global consequences. Of course, all of the stock market crashes and commodity collapses, worldwide economic depressions and national monetary meltdowns fit perfectly into this deliberately timed and manufactured pattern. A one hundred year retrospective will convince even the most skeptical that there has been a very purposeful conspiracy at work to periodically cause a financial apocalypse from which an economic Armageddon always precipitates. By the way, don’t the highly charged words “Apocalypse” and “Armageddon” find their origin in the very same holy books?! Since the beginning of this new millennium, the economic/financial effects of the Shemitah have been witnessed by every resident of the planet … in living color. The following excerpt provides a graphic illustration of the predictive power of the Shemitah. No one can now deny either the calendrical synchronicity or the numerological significance of those various earth-shattering events which have occurred since the year 2000. The subtitle of the same article goes on to say that the coming “Debt Default And Dollar Meltdown, Derivative Explosion And Deflation Implosion Are Timed According To A Controlling Calendar”. The most authoritative historical records and germane data further support the absolute certainty that these monumental events are literally engineered on a regular basis … by the very same group of people co-conspirators. Yes, it will very much be a GLOBAL catharsis. Historically within the Jewish tradition, each Shemitah has always served as a way for the community to start over. It actually provided an opportunity for everyone to be freed from crushing debts and small IOUs alike. In an effort to permit everyone in the society to be released from their indebtedness, a mutual agreement was reached to do so. Such a consensus was not only freeing on the financial level, it was psychologically liberating. Hence, “it was a good in the sight of the Lord”. There are very good reasons why this emancipation from debt slavery took place every seven years. Both the individual and the community-at-large gained tremendously from the chance to start fresh. Since the 7th year saw a time when fields lie fallow and commerce slowed down to what was absolutely necessary, a rejuvenation of both land and business, family and community could occur. This renewal of body and spirit, land and business then served as the foundation for the next 7-year period of human endeavor punctuated with yet another year of rest. When this societal ritual was not observed, signs and omens would inevitably occur which reminded the people of the necessity of this revitalizing practice. In those chaotic years when this scriptural admonition was not obeyed, it was understood that the Lord’s judgment would fall upon the land. Trumpet blasts often accompanied those fateful events which unpredictably served to remind the people of their obligation to faithfully observe the Shemitah. In other words when those individuals and institutions throughout the community neglected to follow through on the scriptural injunctions associated with the Shemitah, times would not be easy for anyone. In some cases, forces might even conspire to bring about a sudden and swift collapse which would then forcefully release the oppressed from their “crushing debts”. 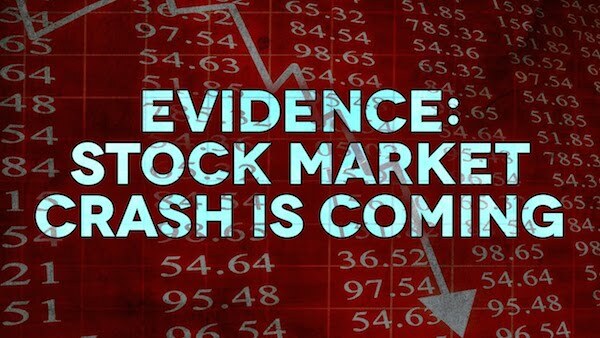 Such an unforeseen series of events are similar to the various stock market crashes which have come and gone without any warning, and have occurred with striking regularity for as long as those financial exchanges have existed. Why is this well established trend so critical at this point of human history? Because the 2015/2016 Shemitah Jubilee is the 70th such jubilee spanning a 3500 year epochal cycle (70 jubilees x 50) within the Hebrew Calendar. In fact there are many adherents within Judaism who believe that September of 2015 merely marks the beginning of the final seven-year period leading up to the long-awaited 2023. That highly anticipated year would equal 70 Jubilees plus 7 years. 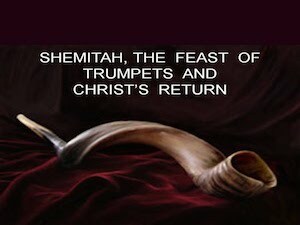 The year — 2023 — is considered by many of the Jewish faith to be the year of the coming of the Messiah. In this light 2023 represents the Shemitah year when the ultimate and final clearing of the debts will occur worldwide. Such finality also sees the time when all mortgages across the planet are dissolved. That is how paradigm-changing the events are prophesied to be during the upcoming 7-year stretch leading up to what appears to be to last Shemitah of the entire era. Such a persuasive narrative ought to compel any reader to come to grips with just what might be coming around the cosmic corner. In order to be better prepared, awareness of the most likely possibilities, at the very least, allows for both practical and psychological preparation. In any event it does appear more than ever that “HUGE Changes Are Coming To Planet Earth“. Does the Shemitah Jubilee Signify the Beginning of the End of the KALI YUGA? Now then, the last remaining question concerns the current twilight period of the Kali Yuga. The Kali Yuga is recognized as a 5000 to 6000-year long epoch in the East Indian Hindu tradition which began in approximately 3113 B.C.E. Some researchers have suggested that the time period of this “Age of Quarrel” is analogous to the 5125 yearlong Mayan Long Count Calendar. That now legendary calendar ended in 2012, give or take 5 or 10 or 20 years. However, the yugas do not necessarily end on specific preordained dates. Each of the four major yugas (Satya, Treta, Dvapara and Kali) is preceded by a dawn and followed by a twilight period. The dawn and dusk of the Kali Yuga can each be as long as 500 years, or even shorter in duration. The termination point of the Kali Yuga is always dictated by the Highest Power because it marks the closing of all 4 major yugas, the Kali Yuga being the final one. Contrary to various accounts appearing on the internet, the “New Age” following the Kali Yuga is always a new Golden Age or Satya Yuga. It does not transition to the Copper Age which is also known as the Dvapara Yuga. Another incorrect statement about the duration of the Kali Yuga is also appearing frequently on the net. The Kali Yuga has been mistakenly calculated to be 432,000 years long. The actual duration is more than 5000 and less than 6000 years. The pundits and brahmins miscalculated using the relevant sutras and sacred numerology found in the Hindu scriptures. There were necessary and multiple conversions going back and forth between different systems of chronology which were never made, making their various calculations quite absurd. Incidentally, how can the Kali Yuga endure for another 427,000 years in view of the state of Planet Earth, especially given the pervasive and profound destruction of the biosphere? Simply put, the Kali Yuga could not possibly last that long because it is the darkest and densest of all of the ages. For that reason alone it is much shorter than the previous three ages. Because falsehood so prevails throughout this “Age of Quarrel”, as it is sometimes called, even basic truths about the duration of the age are obfuscated and distorted. So, when does the Kali Yuga really end? Here, again, the Hebrew Calendar provides a cogent clue. The pivotal year of 2016 (Gregorian Calendar) represents year 5776 year according to the Jewish Calendar. Year number one, therefore, of the Hebrew calendar roughly aligns with the very beginning of the dawn of the Kali Yuga in 3760 B.C.E. Whoever it was that threw that stake in the ground 5775 years ago knew exactly what they were doing. They were particularly aware that a new era had begun and that a correct starting date was the only way to arrive at a high integrity ending date. Regarding the true keepers of time, it is always the end date that is of the greatest importance to them … for quite obvious reasons. Because of the profound impacts on the entire planetary civilization, having accurate knowledge about the actual End Times schedule is also of paramount importance to those controllers who intend to fabricate their own end-time narrative. In this way those who wish to take advantage of the unfolding events, by either magnifying them or toning them down, can do so … up to a certain point. Since there are white hats and black hats here below as there are ‘gods and demons’ above, all moving and shaking at the same time, it can be very confusing to separate the real from the unreal. However, God/Goddess is now notorious for “writing straight with crooked lines” so the story will always end the same way. The divine narrative does, however, often include moments of astonishing deus ex machina as well as stunning prophetic utterances from the local oracle which prove to be true. These are meant to “shock and awe” so that the predominant consciousness can shift to a new level of awareness. Each individual will of course only rise (or fall) to their own level of understanding depending on their state of spiritual development. Only through the establishment of a high integrity eschatological timeline will the much needed prophecy have any meaningful effects. Whereas astrological predictions can also supplement such prophetic knowledge, it, too, relies on a relative system of time based on the movement of the celestial luminaries. Even now humanity is witnessing unprecedented changes in the stellar sky-map as the positioning of the North Star, Polaris, moves in the heavens from its time-honored post as the axial Pole Star. The ancient seers and sages, saints and siddhas possessed highly privileged knowledge which was gifted to them, by virtue of their spiritual attainment, according to the will of the Highest Power. Truly, such sacred knowledge concerning the transitioning of the Ages falls squarely into the domain of the Divine. For it is ultimately the Highest Power alone who decides when the curtain will finally fall on the Kali Yuga. After all, He/She is the director and producer, author and stage manager of this cosmic drama being played out all over Planet Earth. 2025 C.E. can only be considered as an approximate and speculative end date of the Kali Yuga. The collective wisdom of the spiritual and occult sciences now point to 2023. Even the hard sciences of environmental mathematics and progressive astrophysics view 2025 as a realistic year of closure. Statistical modeling is now producing mathematical certainties and well established trajectories which reflect the future condition of the Earth realm, assuming there are no major ‘policy’ changes. There are some quite obvious determinants of when the curtain might start dropping on the Kali Yuga. When the state of planetary degradation reaches a certain point of no return, it can no longer sustain life the way it was meant to. As the current global population explosion approaches a crucial number of earthly residents, another hint is provided. Likewise, there are many mathematical certainties that are piling up which reflect the trajectories of increasing likelihood of environmental and ecological collapse. Others point directly to economic and financial breakdown. The ongoing social decay and political degeneration are conversely approaching critical thresholds. Lastly, and most importantly, the prevailing spiritual ignorance and moral depravity now reflect an inexorable retrogression of societies everywhere. When considered in the aggregate, all of these indicators reflect a civilization that is in a hurry to self-destruct. No kidding, who has ever seen so many nations across the planet in a race to the bottom. When they should all be joining hands in a kumbaya moment, the warmongering countries are instead doing everything possible to start World War III. Nevertheless, at the end of the day (and yuga), it will be the collective intention and will of every inhabitant of the planet which contributes to the outworking of these last and final days. It is the actual state of the collective consciousness that ultimately dictates the unfolding of the End Times schedule. The more who are awake and spiritually proactive in life, the greater the probability that the twilight period will be extended, as it already has been. Humankind has previously been the recipient of more than one grace period; as well as one reprieve after another. It’s true that the Kali Yuga provides an extraordinary opportunity for spiritual growth and development. That is because, as the difficulty of conducting spiritual practice increases, so does the merit proportionately increase. Just a little yogic discipline will take the aspirant a very long way on their spiritual path during the Kali Yuga. Therefore, the Universe (sometimes known as the Universal Director) is always happy to stretch the denouement out as much as possible. Whether we consider the perspective of the Biblical Shemitah Jubilee or the current predicament of the Kali Yuga, it’s clear that the time is nigh. This entire plane of existence is fraught with signs in the heavens and omens on earth. Who among us is without eyes to see or ears to hear the obvious upheaval occurring everywhere? Unparalleled changes are occurring at a meteoric pace. Deeply transformational alterations in consciousness are being experienced by virtually every sentient being. In other words, what we are experiencing is the beginning of the very end of a period that will see a HUGE shift in both planetary and human consciousness. The resulting radical changes will manifest in every sphere of life; perhaps the planetary sphere itself may shift on its axis. So profound and fundamental will this ever-intensifying metamorphosis be that the global civilization will very soon never be the same. 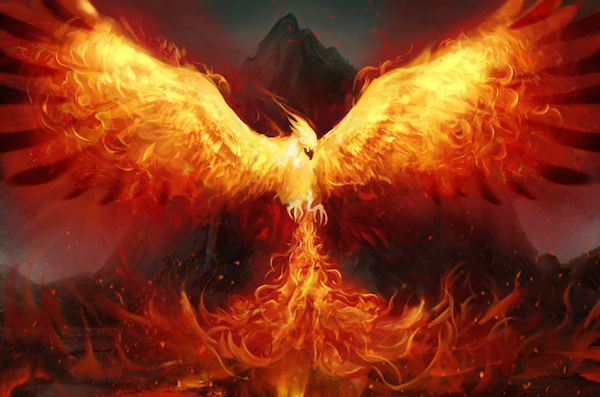 Just as the PHOENIX rises from its ashes after self-immolating on its funeral pyre, so, too, will “a new earth and a new heaven” emerge from the crucible of the post-modern civilization of the 21st century. Whether the final Biblical Shemitah of 2023 A.D. and final end of the Kali Yuga perfectly align remains to be seen. Nevertheless, the striking alignments of so many previous Shemitahs up to this very date do give very good reason to pause … … … and to really contemplate both its deep spiritual meaning as well as urgent mundane message(s). Unknown to but a very few researchers, who are steeped in the relevant scriptural passages of the major religions of the world, is perhaps the best and biggest clue as to what time it really is. That divine and infallible clue, which points directly at the end of the Kali Yuga as well as the final Shemitah, lies in the coming and leaving of Lord Kalki. According to the Hindu tradition Lord Kalki is the tenth and final incarnation of Lord Vishnu. The Kalki’s appearance marks the final end of the Kali Yuga as his earthly mission is specifically timed for this purpose, among many others. It is self evident that the Lord Kalki of Hinduism is directly related to the Second Coming of Jesus the Christ, the Madhi of Islam, the Messiah of Judaism and the Lord Maitreya of Buddhism. There are those who will dismiss this essay on the basis of its religious overtones and spiritual perspective. They will do so to their own disadvantage. First, this exegesis is not presented from any particular religious viewpoint as it seeks a synthesis using different bodies of scriptural knowledge and ancient wisdom. The revelations associated with authentic eschatology are never properly considered in an exclusive religious school of thought or spiritual context. Likewise, end time theories formulated in a scientific vacuum or philosophies born of a secular-only club would only produce their own myopic viewpoints. Therefore, the CCRG proposes a truly eclectic approach in synthesizing an over-arching and comprehensive End Time scenario. In this way each perspective serves as its own unique hologram reflecting the truth of the whole (hologram) perfectly. Bringing together all the various threads from all the various religious and philosophical, spiritual and shamanic traditions in this manner permits a truly prophetic tapestry to take form. The Cosmic Convergence Research Group is a thoroughly non-aligned, ecumenical, interfaith-oriented group of spiritual aspirants and truth-seekers, who seriously respect the role of science and technology in this decisive inquiry. The question on everyone’s mind is “How does the Kali Yuga transition to the Satya Yuga (the Golden Age)”? It was said that when Atlantis sank into the sea, Mother Earth required thousands of years (some even say 5000 years) to cleanse herself of the ubiquitous negative vibrations and harmful frequencies. How else could the planet sufficiently revivify in order to sustain the remaining vestiges of humanity, as well as accommodate the incoming souls of a new race? Undoubtedly, a transition from the darkest and densest of the ages to the most refined and full of light is not an easy one. Only the birth pangs of an extremely difficult childbirth seem to capture what is truly in store for the present human race. With that said, there is certainly much more to practically consider for those who believe — with all their heart and mind, body and soul — that they will one day magically wake up in the splendor and beauty and magnificence of the Golden Age. The following reality check is not for the fainthearted or fantasy inclined. Nonetheless, it, too, is just a feeble attempt to describe the stark realities of the fast-approaching future.